When Conor McGregor returns to the cage next year, fans have something big to look forward to. After absorbing a humiliating defeat at the hands of lightweight champion Khabib Nurmagomedov at UFC 229 last October, ‘The Notorious’ is itching to bounce back and has vowed to launch rockets when he storms the cage for his next fight in 2019. 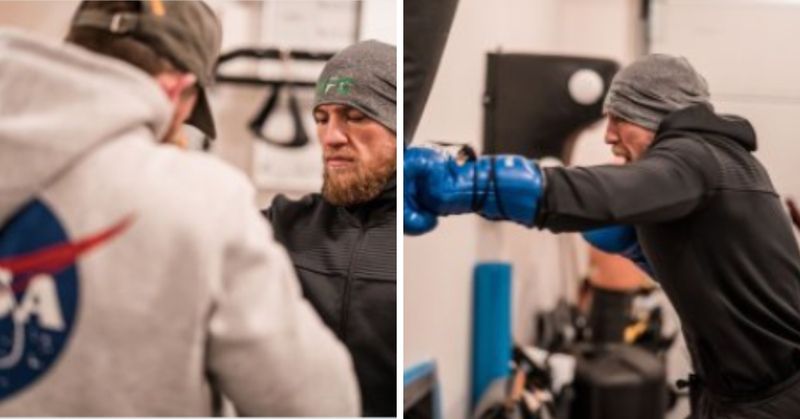 The 30-year old McGregor returned to the cage last October and faced Khabib Nurmagomedov in a bid to recapture the UFC lightweight belt. His highly-awaited return in the professional scene did not go as planned as Khabib showed his monster form to dominate the entire match. Conor’s mind games in the pre-fight pressers went all for naught as the defending champion demonstrated an incredible display of composure in their encounter to come out with a convincing fourth-round submission win. Following this disappointing loss, ‘The Notorious’ has pledged to have his confidence and preparation at a different level when he returns to the cage for his next outing. Multiple reports surfaced last month that the Irishman could be next in line for UFC veteran Donald Cerrone but UFC president Dana White recently suggested a showdown between the promotion’s megastar and Dustin Poirier. If the promotion does not grant him an immediate rematch with ‘The Eagle,’ McGregor said he has no problem in facing other contenders before getting another shot at the UFC lightweight strap. However, the former two-division must first overcome the Nevada State Athletic Commission to become eligible to fight again. As the aftermath of the infamous UFC 229 post-fight brawl, McGregor is currently serving an indefinite suspension from NSAC while the final verdict is expected to be handed next year.